Green technology, environmental management, safe industrial processes, raw materials and social responsibility are certainly aspects of our sustainability. Frum uses modern and innovative processes in product development. As a result, it follows the worldwide trend of production with minimal impact and maximum respect for nature. Frum is hugely concerned about producing with conscience and responsibility, thus meeting the main international environmental standards. The company also meets the standards of FEAM – Fundação Estadual do Meio Ambiente de Minas Gerais (State Environmental Protection Foundation for the state of Minas Gerais). Frum offers to the automotive market reliable products that comply with international standards. The company also invests in quality and safety all throughout the production process according to its Integrated Management System. Certified companies that meet international environmental standards provide high quality gray and nodular iron. As a result, they guarantee a product manufactured according to a sustainable development. 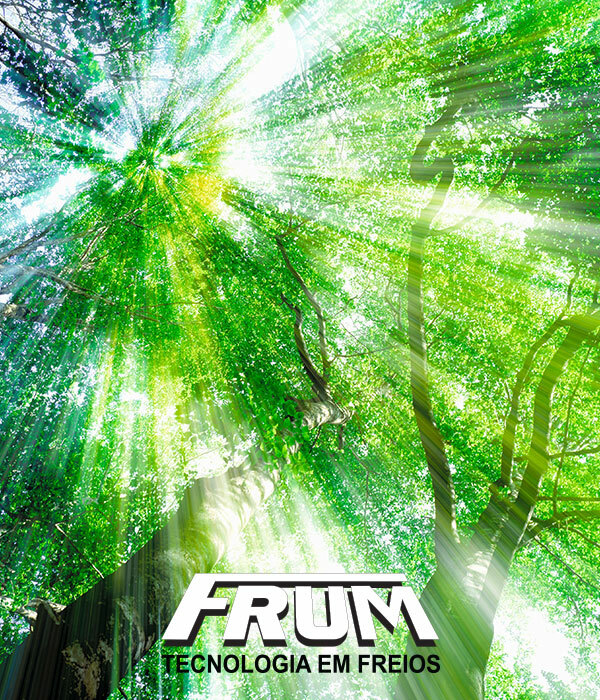 To provide a better environmental balance, all Frum products are packaged with recycled materials. Frum is a company that values ​​human assets and invests in social actions that result in the development of the whole community.